I’ve always had this sense of feeling sorry for the progeny of legendary musicians and the uniquely talented and famous. There is always a drive to follow in the talented parent’s footsteps in these instances and the pressure that must be felt to be preternaturally talented as some kind of birthright must be huge. I remember watching some awards show on TV many years ago and Will Smith was accepting an award and holding a baby Jaden Smith at the podium. In that moment I was overwhelmed with the pathos of a life to be spent trying to get out from under a father’s shadow. Getting your chance too young and for the wrong reasons, and thus never having any chance at all in the long run. It must be so perplexing for that talent that is your birthright to ultimately fail you. 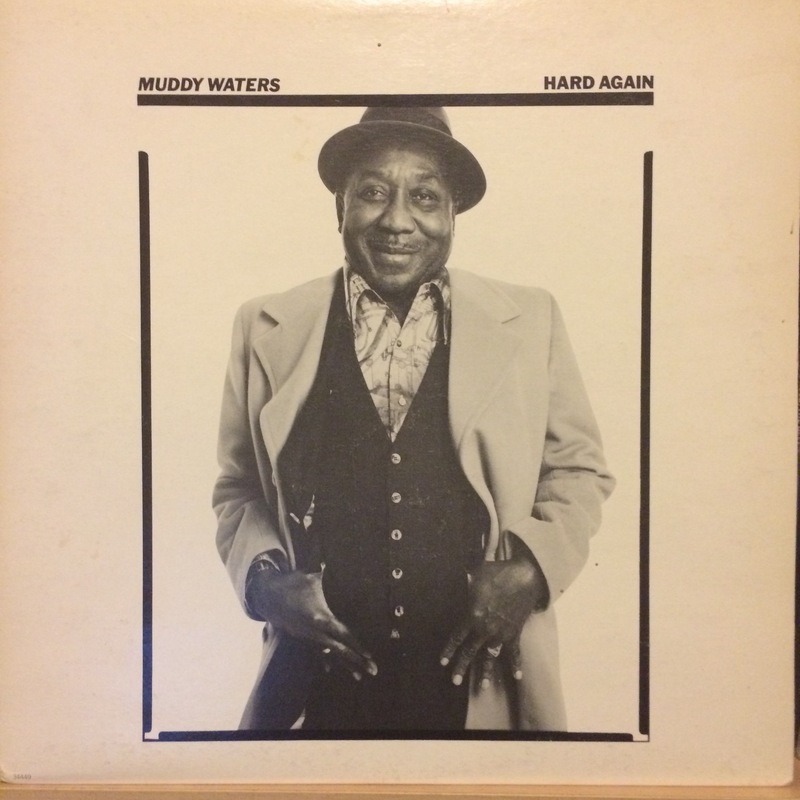 Released in 1977, when Muddy Waters would have been 64 years old, and produced by Johnny Winter, who also provides some guitar on the album, Hard Again could easily have been a throw-away cash-in for Waters while giving Winter an opportunity to work with a real blues legend, as was so popular with rockers of the late ‘60s and ‘70s. It doesn’t play that way at all, though. Waters’s vocal performance is playful and gutsy, playing off the music in a way that suggests to the listener that he was having fun playing with this band (apparently his touring band at the time) in the studio. Never straying from the electric blues basics, Waters, Winter and the group vary things just enough to keep the album musically interesting. A swampy bass line transforms “Bus Driver,” while the driving energy of “Jealous Hearted Man” and pots-and-pans shuffle of “I Can’t Be Satisfied” also stand out. Throughout it all is James Cotton’s harmonica, which is as much a focal point within the songs and through-line of the album as Muddy Waters’s vocals.